Whether it is covered in a blanket of moody clouds or showing off against a crisp cloudless blue sky, Table Mountain is always spectacular. Cape Town locals are pretty fond of the mountain that looms over their city … and with good reason! Table Mountain, which is home to the richest, yet smallest floral kingdom on earth, was voted one of the New Seven Wonders of the World in 2011. Flanked by Devil’s Peak and Lion’s Head, Table Mountain makes up the northern end of the Cape Fold Mountain range. It’s hard to imagine, but the mountain’s distinctive flat top – a three-kilometre level plateau – was once the bottom of a valley! The mountain was given its name — Taboa do Cabo (Table of the Cape) — by Antonio de Saldanha after he climbed up Platteklip Gorge in 1503. The easiest option for getting up the mountain is the cableway. The journey up the mountain takes about five minutes and the cars rotate through 360° during the trip, giving you spectacular views of the mountain below. Cars depart from the lower cable station on Tafelberg Road every 10 to 15 minutes, but you can expect to spend a fair amount of time in the queue during peak season. The cableway doesn’t operate if the wind is too strong or the visibility too poor, so check in advance if the conditions seem unfavourable. While the cableway is convenient and fun, you’ll get a much richer experience by hiking up or down yourself. Platteklip Gorge, a prominent gorge up the centre of the main table, is one of the most popular routes up the mountain. While quite steep, the ascent is pretty straightforward and should take between one and three hours depending on your fitness level. A trickier route starting on that side of the mountain is India Venster, which requires you to do a fair bit of scrambling. This route can take between two and four hours and should only be tackled by those who are fit and are familiar with the route. On the Atlantic side of the mountain, Kasteelspoort, which offers incredible views of Camps Bay, is the easiest route. There are also longer routes to the summit from the Southern Suburbs. Nursery Ravine and Skeleton Gorge both start in the Kirstenbosch Botanical Garden. From Skeleton Gorge, you can hike along Smuts Track to Maclear’s Beacon, which, at 1086 meters above sea level, is the highest point on Table Mountain. From Constantia Nek, you can take a longer, milder walk up the jeep track to the dams at the top of the mountain. Table Mountain has approximately 2kms of winding pathways from which there are several viewing platforms, offering 360° views of Cape Town, Table Bay and a bird’s eye view of Robben Island – excellent photo opportunities. One can enjoy a delicious breakfast in the restaurant and shop at the curio store for the folk back home. Just 12 kms from Cape Town, Robben Island is not to be missed. The island was declared a world heritage site on December 1, 1997. Take a “ferry” ride from the V&A Waterfront via an impressive high-speed boat for an informative and fun-filled day. The name is Dutch for “seal island”. 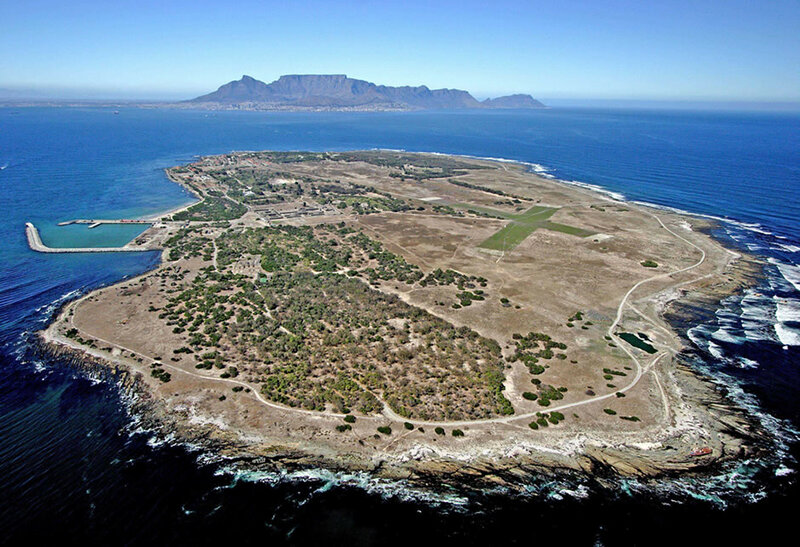 Robben Island is roughly oval in shape, 3.3 km long north-south, and 1.9 km wide, with an area of 5.08 km2. It is flat and only a few metres above sea level, as a result of an ancient erosion event. Nobel Laureate and former President of South Africa, Nelson Mandela, was imprisoned there for 18 of the 27 years he served behind bars before the fall of apartheid. To date, three former inmates of Robben Island have gone on to become President of South Africa: Nelson Mandela, Kgalema Motlanthe, and Jacob Zuma. The Robben Island tour begins at the Gateway where multi-media exhibitions, a restaurant, an auditorium and a museum are located. Kirstenbosch National Botanical Garden is acclaimed as one of the great botanic gardens of the world. 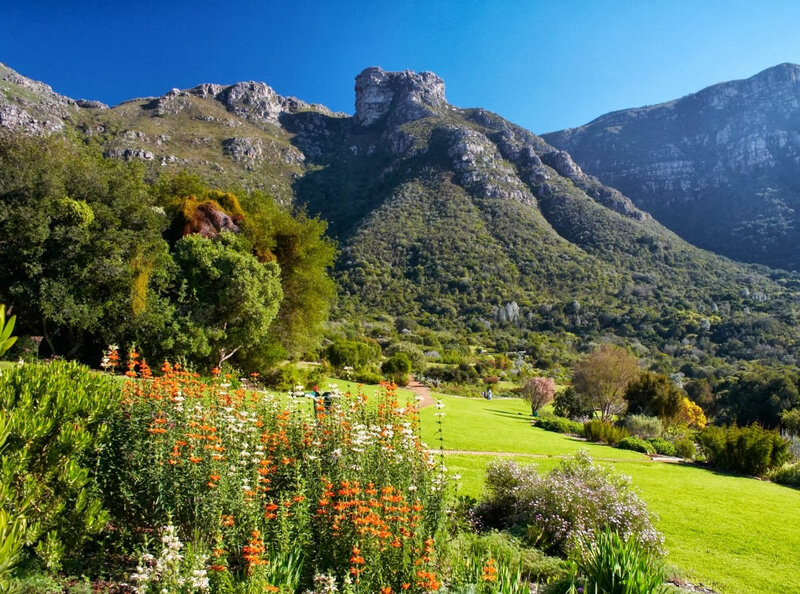 Few gardens can match the sheer grandeur of the setting of Kirstenbosch, 60 hectares covering the eastern slopes of Cape Town’s Table Mountain. Kirstenbosch offers a leisurely relaxed experience with a choice of two restaurants, a coffee shop, a curio and book shop. Kirstenbosch is home to indigenous flora and several bird species including breeding owls, guineafowl and sugarbirds. You may be lucky enough to spot a Cape Fox, Otter or mongoose during your meander through the gardens. Summer isn’t summer in Cape Town without the live sunset concerts on the rolling lawns of Kirstenbosch Gardens. Join the locals with their picnic baskets and blankets and enjoy the best music South Africa has to offer in the shade of Table Mountain. 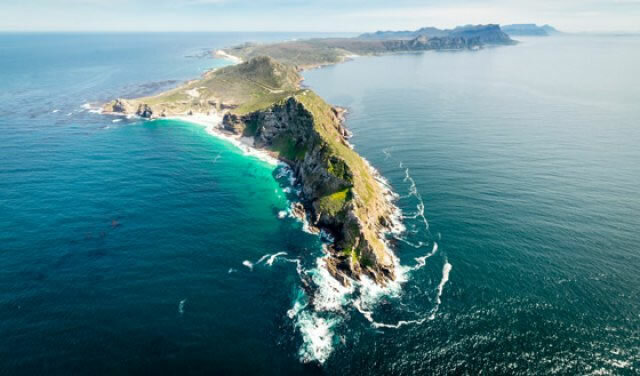 Cape Point is one of South Africa’s most famous landmarks … where the mighty Indian and Atlantic Oceans are said to meet … a spectacle not to be missed. Take a day tour on a beautiful scenic coastal trip to visit this spectacular site. 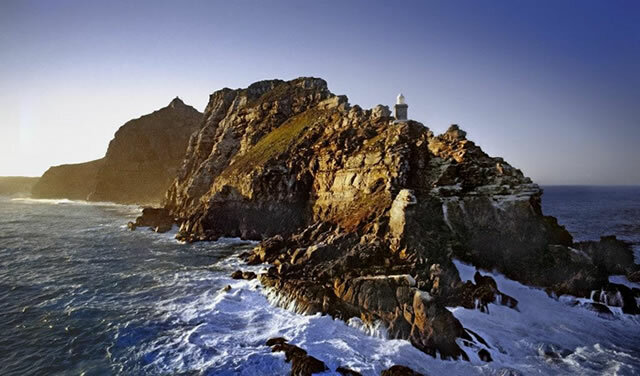 The most south westerly point of Africa. It’s where the cold Benguela Current on the West coast and the warm Agulhas Current on the East coast merge. 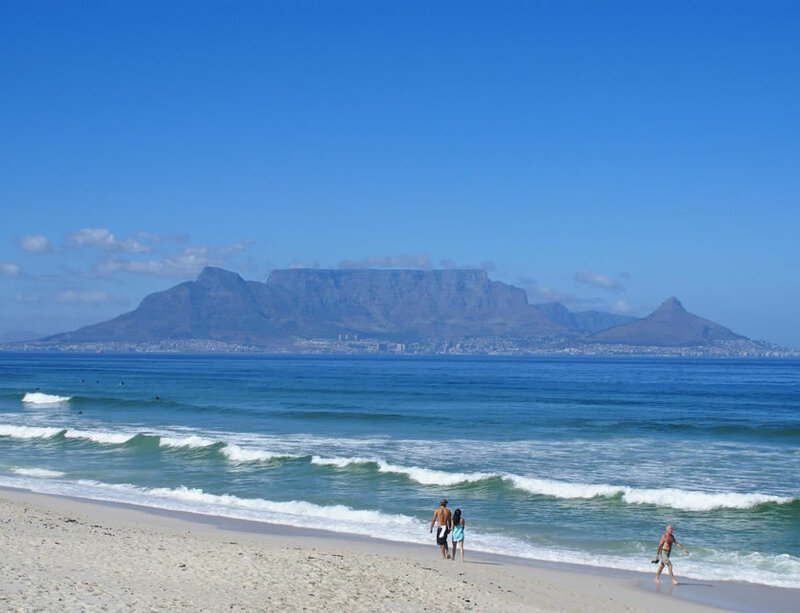 Situated in the 22,100-hectare Table Mountain National Park, a natural World Heritage Site. One of the highest sea cliffs in the world – 249 m above sea level. Bird watcher’s paradise – at least 250 species. The circumnavigation of the Cape of Good Hope led to the establishment of a sea route to the East and subsequent trade. Approximately 1 100 indigenous plant species. Variety of buck, baboons and other animals. Swimming at Bordjiesrif and Buffel Bay tidal pools. Numerous scenic walks and trails. Excellent angling and diving spots. Whale and dolphin watching from May to November. Historical monuments including the Diaz and Da Gama Crosses. The funicular – scenic trips to the old lighthouse. 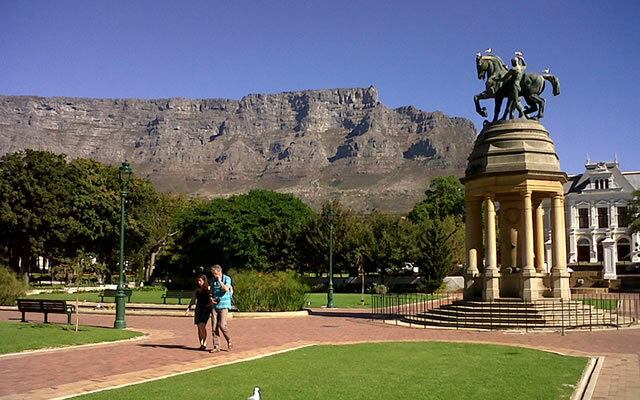 The Company’s Garden is a park and heritage site located in central Cape Town, at the very top of Adderley Street in Cape Town City Centre. The Garden was originally established in the 1650s to provide fresh fruit and vegetable for the seamen sailing from Holland to Indonesia. The beautiful Garden is home to several landmark buildings including Parliament, SA Museum, SA National Gallery, Slave Lodge, St George’s Cathedral, the Jewish Museum and the University of Cape Town’s City Campus. Durbanville Race Course offers weekly horse racing. Sun International’s Inner-City Casino and entertainment world. 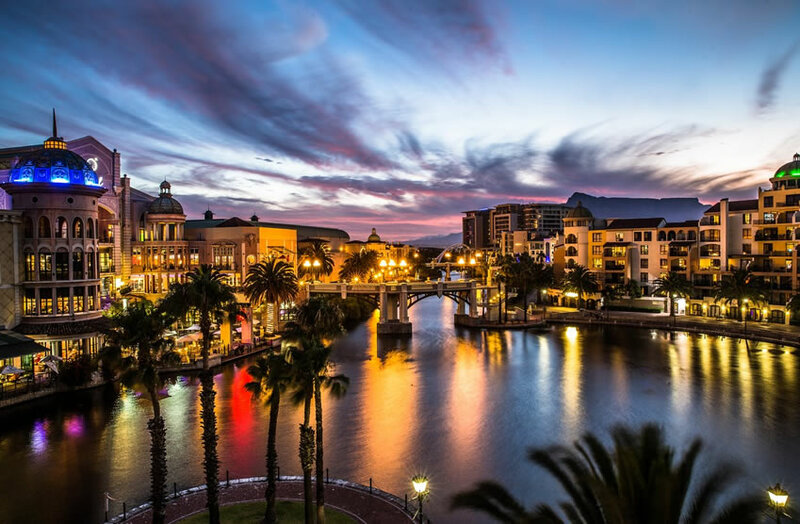 The V & A Waterfront with its multitude of attractions, restaurants, speciality shops, craft markets, entertainment centres, hotels, coffee shops and the Two Oceans Aquarium will keep you occupied for hours on end. See the website for details. Immerse yourself in the wonders of the ocean. The Two Oceans Aquarium exhibits simulate the local conditions of the 2 oceans surrounding the Cape’s magnificent shores and includes local specimens e.g. sharks, penguins, seals, sun fish and much more. This is spectacle not to be missed. 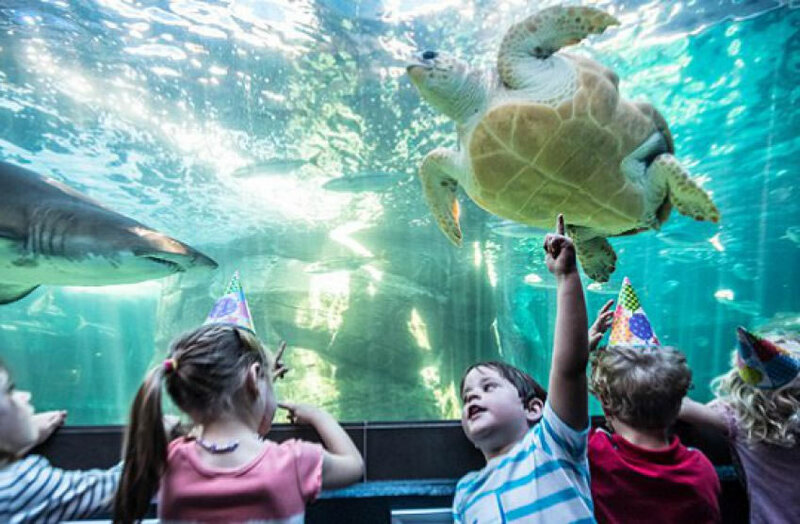 Visit the exhibits and learn about marine life. Even better, join the aquarium during feeding time to see a frenzy of activity, accompanied by a short talk from one of their staff. Open daily 365 days a year 09h30 to 18h00. See the website for details. World class shopping and entertainment centre just minutes from Highlands Lodge Guest House. Shops, restaurants, post office, tourist information and more. 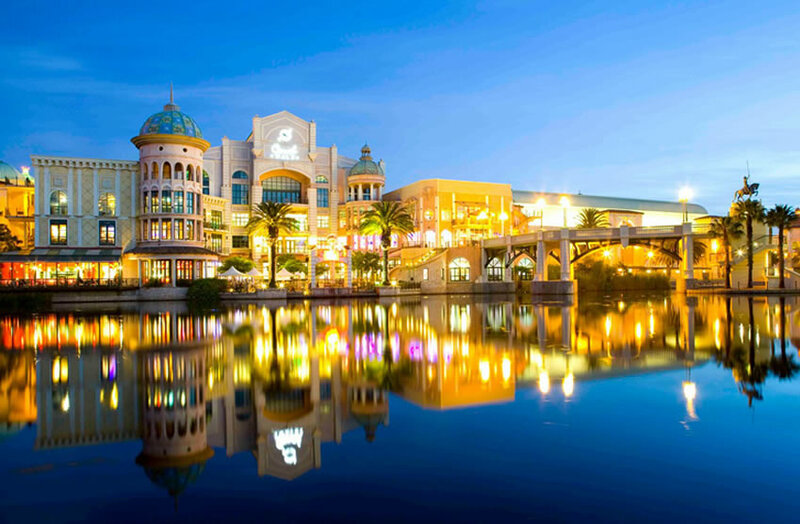 Beautiful shopping centre on our doorstep with interesting stores restaurants and home to the BARNYARD THEATRE. Definitely worth a visit. World class shopping and recreational centre with over 380 shops, restaurants and cinemas, and the renowned MTN Science Centre. An impressive lifestyle centre located at the Okavango Interchange alongside the N1. A plethora of shops, restaurants, coffee shops and entertainment centres for the entire family. 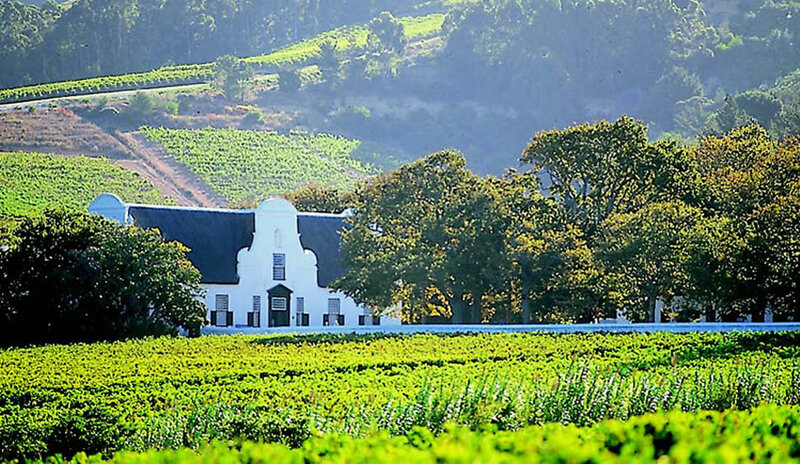 Constantia is the birthplace of the wine farming industry in South Africa. Franschhoek Valley is known as one of the premier destinations in the World of Wine comprising 30 wine farms including some of South Africa’s most respected names. 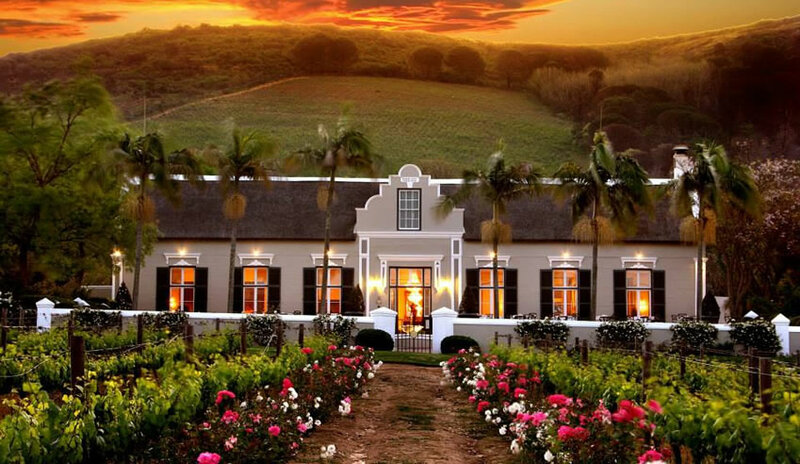 Not far from the southernmost tip of the vast African continent, amidst the villages of the Boland, sprawl the vineyards of the Helderberg Wine Route, guarded by the majestic mountain from which they take their name. One of the most established wine routes in the province. Representing more than 300 wine and grape producers within the boundaries of the Stellenbosch Wine of Origin classification.